In recent years, there has been a spike in the unauthorized use of firearms which has resulted in deaths – both accidental and deliberate. 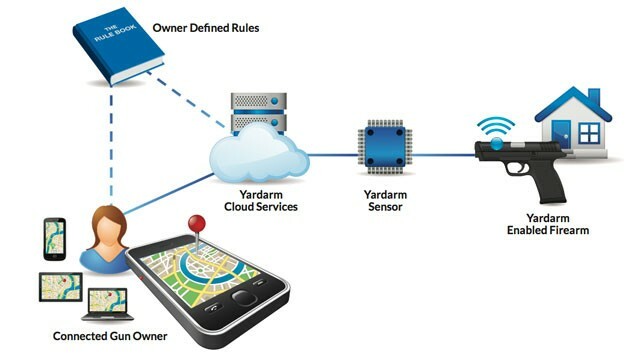 In order to minimize future risks, Yardarm introduced its Safety First technology. This technology allows gun owners to remotely engage or disengage the trigger safety on their firearms from anywhere in the world. In order for this to work, the technology will need to be custom built right inside the firearm. A sensor and a SIM card, similar to the one used on phones, will be placed inside each handgun and these will enable the gun to communicate with a phone app allowing the gun owner to view information about that firearm from afar. The technology also alerts the gun owner, either by text (SMS) message or by email, of any movement made by the gun, whether it’s just a minimal change in location or one that involves long distances. The geo-location feature will enable the owner to track the firearm and its movements. Furthermore, this technology gives the owner the ability to engage of disengage the trigger safety remotely. As an added security feature, the app is password protected and in spite of all the advancement, the app cannot be used to fire the gun remotely. This breakthrough was introduced in May 2013 at a CTIA show in Las Vegas, Nevada. 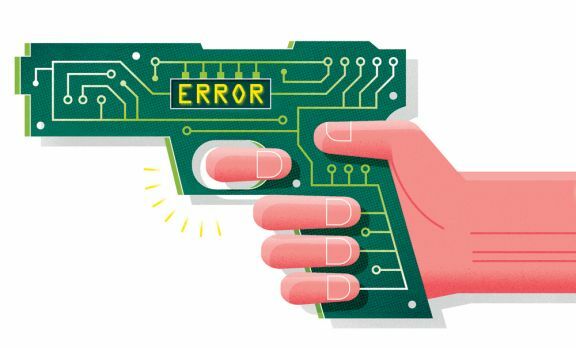 During the conference, Yardarm executives divulged that other companies, including Unterfoehring in Germany, have developed a personalized gun that is able to “recognize” its owner by the use of biometric data. They also added that, the New Jersey Institute of Technology is presently working on a gun that would recognize the mold or shape of its owner’s hand; and the trigger mechanism will not work if handled by someone else. It was reported that two major gun manufacturers have expressed an interest in the Safety First technology; however this feature will not be ready for commercialization until 2014. Those concerned that the technology will make firearms more expensive can breathe a sigh of relief. It is expected that this new technology will add about $50.00 to the price of a firearm. It is a low-cost, low-burden addition to firearms that still gives the owner lots of control over the weapon. Perhaps, in the near future, all firearms, even the ones purchased from an online gun store would be equipped with these safety features. Preston Cooper is a professional blogger that provides information and advice on firearms. He writes for Fire Arms For You, the top place to find handguns for sale and rifles for sale online. Think for 10 seconds about the many ways in which that will not work (power outage, etc). Then ponder the obvious “cutoff switch” that will belong to the government.